Pecenongan Fodder (Part 1): Sop Kaki & Sate Kambing "Krekot"
Pecenongan has long been heralded as an area for Wisata Kuliner (culinary tourism), as you can see the overhead sign when you enter the stretch of street. In daytime, Pecenongan looks just like any other busy streets, with auto dealers, hotels and other businesses totally unrelated to food business. But lookout! Just as the dusk starts to fall and the businesses close for the day, you will notice mobile carts and all their attributes (stoves, pans, tables and chairs, etc) start to settle themselves at each designated spots. I've no idea what kind of arrangement these stall owners made and with who, to acquire a spot here, but they can always be found at the very same spots for as long as their businesses are still running. 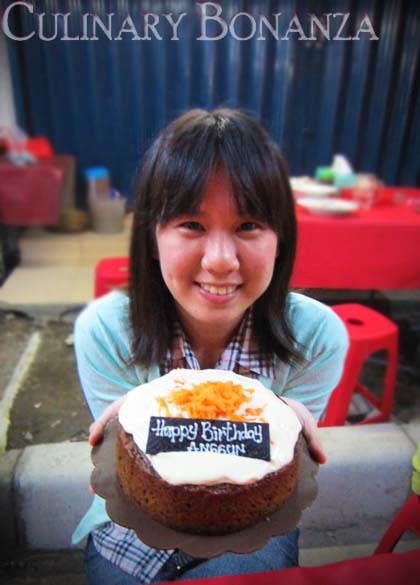 In the evening, the whole street transforms into a culinary haven that offers myriads of street treats, the more famous ones are such as Martabak (Indonesian pancake), Sate Babi (grilled pork on skewers) and Grilled Seafood. But instead of going straight to the usual all-time favourites of Pecenongan as I mentioned earlier, this time I laboured my hungry tummy at the stall that belongs to my friend's mother: Sop Kaki & Sate Kambing "Krekot". The "tenda" or stall is a very casual place, you can come in slippers or even homey dress, no one would bother you. Be warned that it is outdoor and the mosquitos are probably the biggest threat, so either wear long pants or apply some mosquito repellent. Temperature wise, it was pretty comfortable. Not too hot or wet, so t-shirts are most recommended when you come to eat anywhere at Pecenongan. I ordered the Soto Betawi Daging tanpa babat (Beef Soto Betawi without the beef innards). If you don't like to eat animal guts and such, be specific with your orders, otherwise they'll just put it in, as it is their standard combo. 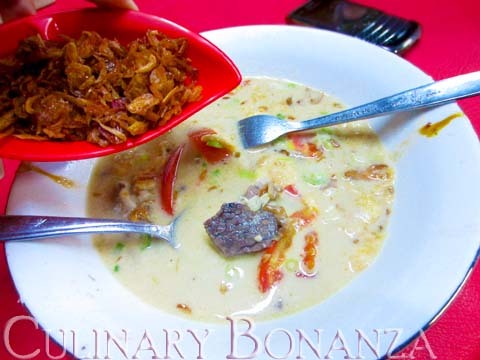 FYI, Soto Betawi, unlike the other types of Sotos, uses milky instead of clear broth. That evening also marked a milestone in my culinary adventure, as it was the very first time I ate Sate Kambing (mutton or chevon satay). Mutton is essentially different from lamb, as mutton comes from a goat. I have no problems eating lamb, but have always feared and avoided mutton at all costs, despite its popularity locally. I'm traumatized by the giddying stench from goats, particularly at a certain month of the year (I think it's around the Hajj month). No offense to my fellow Muslim readers, but some goat traders will set up tents and temporary stables and then clog the already narrow streets with their hooved cattles! The smell of the goats plus the accumulated dungs are enough to stop me from eating. Also, I have heard that if not well processed, the stench from live goat will stay in the meat. Those reasons were enough to make me stay clear from this delicacy. 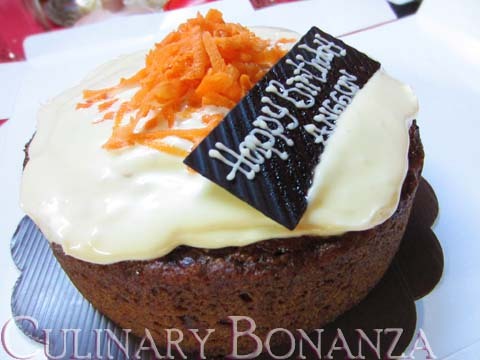 A friend challenged me that night, that as a food blogger, I must not be picky. I must try everything, to fully develop my taste profile. Of course I felt pressured by his point, so I took 1 skewer and had a mouthful of mutton satay in my mouth. Much to my relief, my fears didn't come true! No stink, no weird flavour whatsoever. 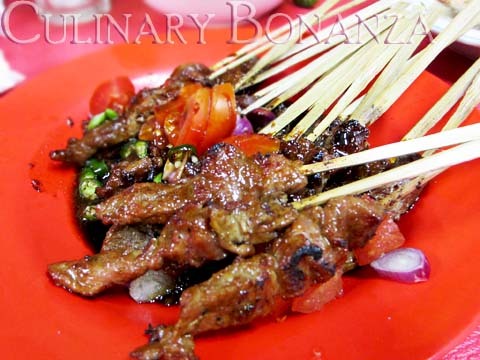 In fact it tasted pretty ordinary, just the way satays should be: grilled, savoury meat. The texture was quite tender, but I'd rate the chewiness somewhere between that of chicken and beef. I gotta say, that my friend's staff processed the meat well to get rid of the notoriously offensive stench. Thanks, now I won't be scared out of my wits when I have to eat mutton anymore. Haha! *) No Tax or Service Charge. To tip or not to tip, is up to you. Sop Kaki & Sate Kambing "Krekot"